Join tens of thousands of fans as they converge at the Donald E. Stephen Convention Center (Rosemont) at Chicago Comic Con Wizard World Convention to celebrate the best in pop culture. Chicago Comic Con brings it all - Movies, Comics, Toys, Video Gaming, Games, TV, Horror, Wrestling, MMA, Original Art, Collectibles, Anime, Manga & More! 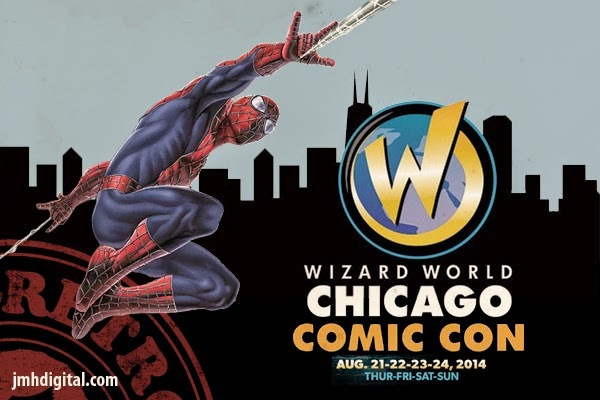 Chicago Comic Con is brought to you by the group who produces the most widely attended Comic Con tour! Yes, this is another we hope to be able to cover this year... fingers crossed! You will be a kid in a candy store, Jeremy!